Milwaukee is the largest city in Wisconsin, and 22nd in the United States over all. As of 2005, its population was estimated as 578,887. Sports teams in Milwaukee include the baseball team, the Milwaukee Brewers, the basketball team, the Milwaukee Bucks, and the ice hockey team, the Milwaukee Admirals. Some of the leading companies headquartered in Milwaukee include Johnson Controls, Manpower and Northwestern Mutual. 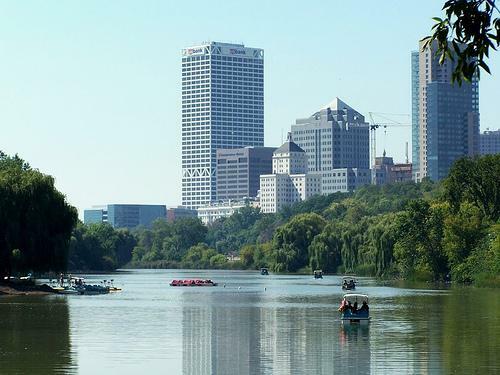 Milwaukee's nicknames include "A Great Place on a Great Lake", "Brew City", "Brew Town", "City of Festivals", "Cream City", "Mil-town", "The Brew", and "The German Athens of America".